The D-Link DIR-451 3G Mobile Router answers mobile users' need for setting up wireless network on-the-go to share Internet connection. This D-Link 3G mobile router enables users to quickly create a secure wireless 802.11g (108G) network and provide access to the Internet using a cellular signal. By connecting an UMTS, or HSDPA Internet PC card to the 3G Mobile Router, an Internet connection can be accessed and shared virtually anywhere within a wireless broadband network. The D-Link DIR-451 3G Mobile Router can be set up in minutes, making it easy to use while on–the-go. 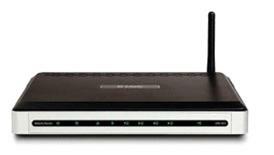 Remaining backward compatible with 802.11b devices, this router ensures that it will work with legacy wireless equipment you already own. This eliminates incurring additional expenses associated with upgrading your current wireless equipment. You can also directly connect Ethernet-based devices to its built-in 4-port full-duplex 10/100 switch. The D-Link DIR-451 3G Mobile Router creates a secure Wi-Fi® network by supporting the latest wireless security features to prevent unauthorized access. Support for WEP, WPA, and WPA2 ensure that you will be able to secure your Wi-Fi network, regardless of your client devices. In addition, this router utilizes dual active firewalls (SPI and NAT) to prevent potential attacks from across the Internet. Click here to find out more about this D-Link DIR-451 3G Mobile Router ! I use this router with a pcmciaa Sierra aircard on the Cingular/ATT network. I'm very pleased it extended the capabilities of the card from simply allowing access from my lap top to using it as my overall internet connection at home. Speed is sufficient to play Final Fantasy on the Xbox and even hook up the Vonage router to make phone calls. It's certainly not as fast as my old wired dsl connection but that is not the router's fault just the fact of the cingular/att wireless network. For me this router saves me 50 bucks a month by allowing me to drop my wired connection. I grab my aircard when I leave for work in the morning and then after work and weekends just leave it in the DLink router for around the house always on internet connection. Great router I bet it would be a big seller if more people knew about it. The router worked as promoted, but I purchased it to host a internet camera at a remote site. At&t does not allow hosting on their broadband cards, so the service provider was the problem. Its in their contract. Check your service provider details for their cards before purchasing. Amazon was GREAT, they allowed me to return the product. I will use Amazon for all my purchased for now on. I bought this router to use with a 3G modem. I did a firmware upgrade and it worked for 15 minutes and after that it keeps rebooting after each 30 seconds !!! No way to buy D-Link again ! Return to top of "D-Link DIR-451 3G Mobile Router"! !